Make sure you spread the word to everyone before they attend to read this notice, especially those under 21. 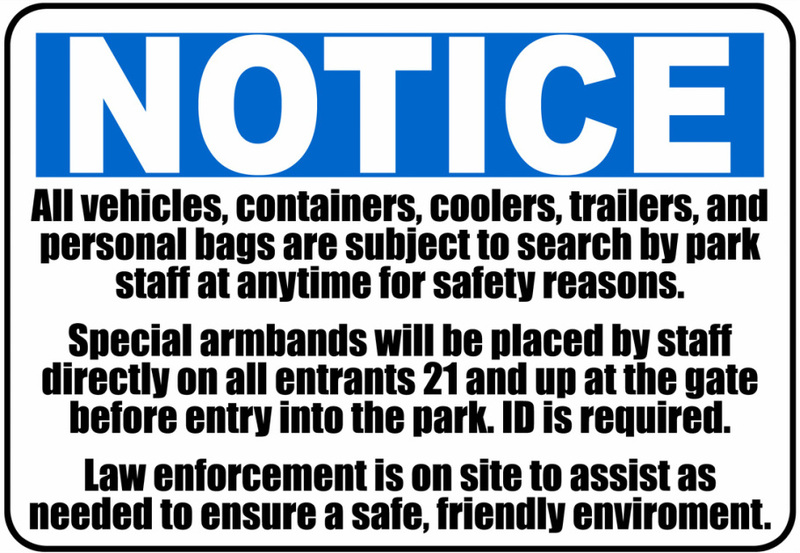 And just to clarify, if you are not 21, you can still enter the park, you just do not get the special armband that signals to us and law enforcement that you are 21. Every vehicle, container, cooler, trailer, and personal bag is subject to search at anytime for safety reasons. No search = no entrance. These actions will begin being enforced at the gate at every event weekend.